Login to your mHelpDesk account. Click on People > Staff. 4. Enter your new password. 5. 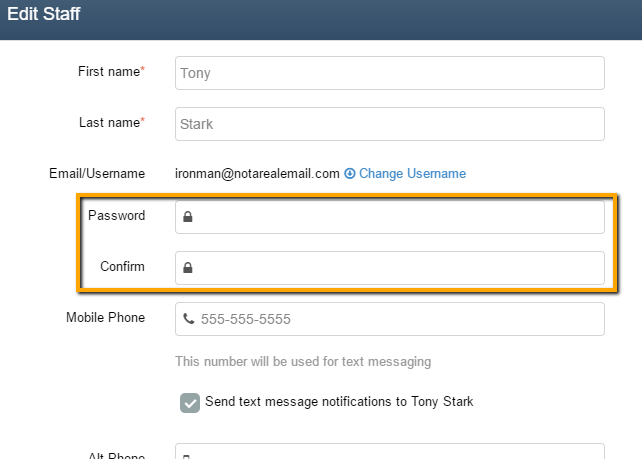 Confirm your new password by re-entering it in the "Confirm" field. You can use this new password to login to your mHelpDesk account immediately whether you're using the mobile app or the web version. Easy, right?